Today, the International Brewers' Day is celebrated, it reminds us not only of the old brewing traditions, but of the innovations of beer industry as well. Non-alcoholic beer, which was considered a niche product not so long ago, is already about to get rid of this label. 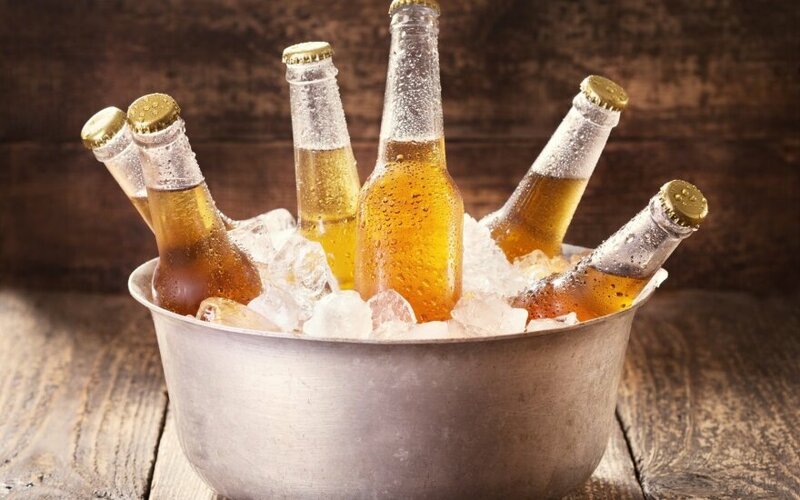 This summer the demand for non-alcohol beer is growing at a record pace, while Lithuanian and foreign beer makers had supplied store shelves with fifty different types of non-alcoholic beer, a press release from Maxima states. "In recent years, we are seeing a clearer trend that as the sales of the alcoholic beer decline, the demand for non-alcoholic beer is increasing every year, and this year it simply exploded. During the first half of this year, in Lithuania Maxima's network sold twice as much of these drinks when compared to the same period of the last year. This is a record - the non-alcoholic beer in Lithuania has never been so popular", says Vilma Drulienė, Chief Commercial Officer of Maxima, the largest retail chain in Lithuania. She observes that such trends were influenced not only by the passed alcohol selling and advertising restrictions, but also by the noticeable increase in the supply of non-alcoholic beer and its cocktails. "If, for example, in 2014 in our stores buyers were able to choose from just 15 non-alcoholic beer types, now in our largest shopping malls we offer more than fifty types of non-alcoholic beer and non-alcoholic beer cocktails. With such a wide selection of anon-alcoholic beer, the buyers can taste the non-alcoholic beer produced not only by Lithuanian and foreign brewers, but also beverages of various tastes prepared according to different beer production technologies", says V. Drulienė. The best selling non-alcoholic beer in Lithuanian retail chain Maxima is Lithuanian non-alcoholic beer, while the while the most popular Top3 is formed by pilsner, wheat beer, and grapefruit flavoured non-alcoholic beer. Rolandas Viršilas, CEO of Švyturys-Utenos Alus, notes that the growing popularity of non-alcoholic beer is caused both by its growing supply and the changing lifestyle of Lithuanians, people are looking for a chance to refresh with alcohol free products, but they do not want to give up the taste of the beer they like so much. "There are two main technologies of non-alcoholic beer production. Older - but still employed in many places even today - when after the common beer is brewed, it is heated once again and the alcohol is evaporated, because of the difference in the boiling temperatures of alcohol and the beer. However, this technology has one drawback: the additional heating of the beer slightly changes its taste properties. "Švyturys-Utenos alus" has a new generation microfiltration based equipment for non-alcoholic beer brewing. After the common beer is brewed the alcohol is simply filtered out, based on the fact that the density of the beer and the alcohol is different. This technology is expensive, but this prevents the changes of taste and consumers can enjoy the products of the highest quality", says R. Viršilas. According to salesmen and brewers, non-alcoholic beer in Lithuania still has plenty of space for popularity - despite the fact that its sales sometimes grow, the non-alcoholic beer only recently crossed the two percent threshold of the entire beer market. For example, in Spain, this segment accounts for more than 10 percent of the entire beer market. 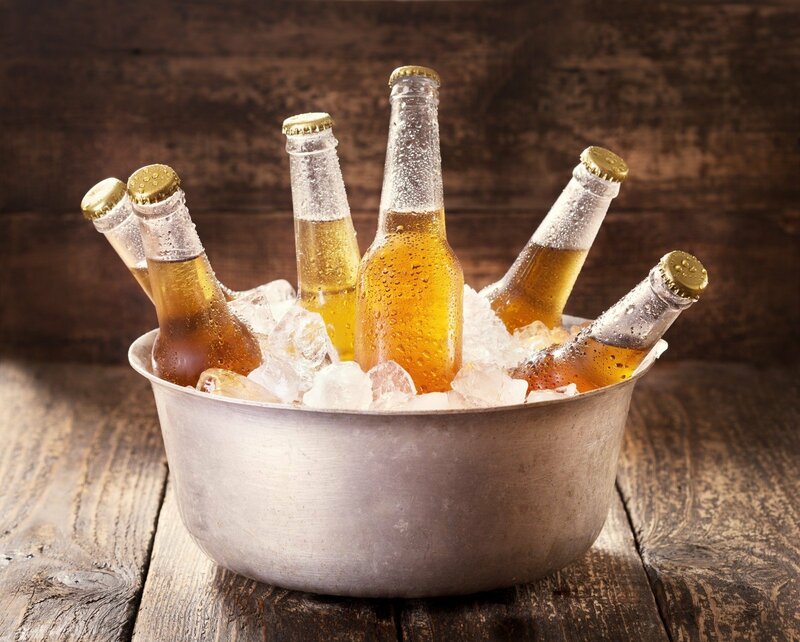 The history of non-alcoholic beer began in 1919, when the United States passed the Prohibition Act. The law established that the beer falls into the category of alcoholic beverages, when its alcohol content exceeds 0.5 degree. This value was recorded in the legislation of many other countries of the world, and precisely this number discerns alcoholic beer from non-alcoholic beer. The first non-alcoholic beer in Lithuania was presented by Švyturys brewers in 2004. For a long time it was the only Lithuanian non-alcoholic beer, which took up most of the sales in this segment. The traditional advantages of the Lithuanian retail chain Maxima - low prices and a wide selection of Lithuanian goods in particular. Retail chain managing company Maxima LT is the largest company of the Lithuanian capital, one of the largest taxpayers, and the largest job creator in the country. Currently, there are 245 Maxima stores in Lithuania, employing more than 15 thousand employees, and servicing more than 550 thousand customers every day.